The design for this cake came from a picture the bride gave to me. Something she saw in a magazine. We made a few minor changes just to make it special for her. 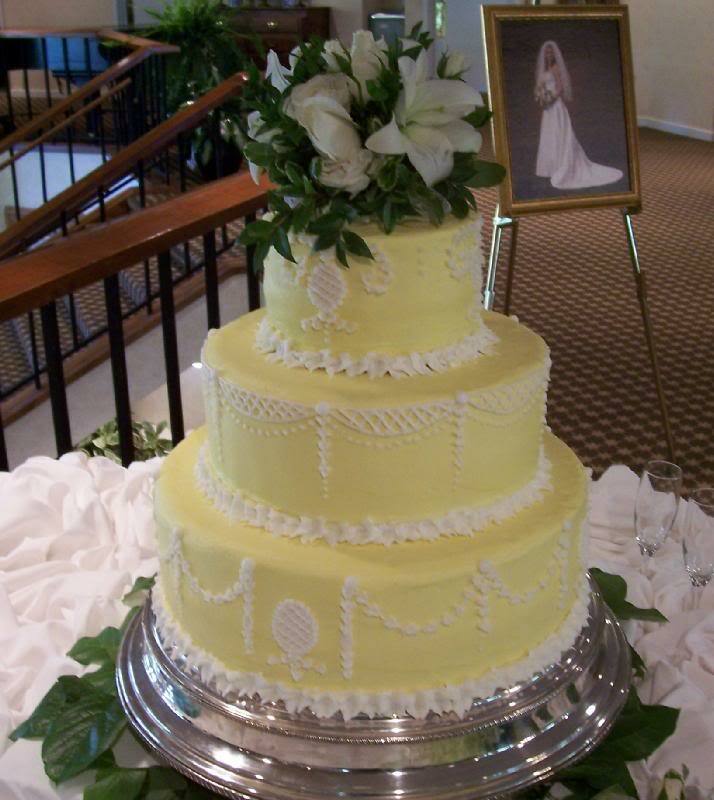 She loved the sunny yellow with the white design work.Fresh white lilies were added on the top.